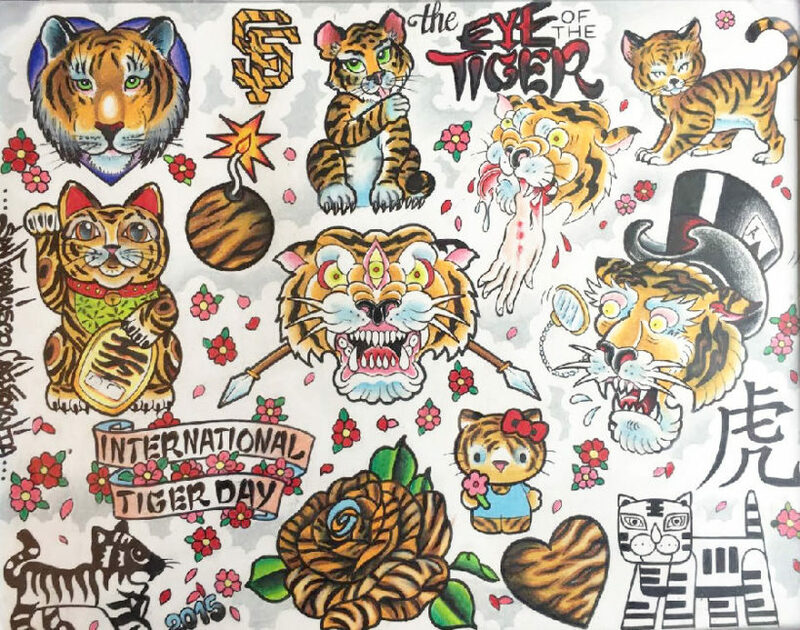 International Tiger Day is right around the corner, and Eye Of The Tiger Tattoos invites you to come on down, and get yourself a Hobbes, a Tigger, or even a Hello Kitty Tiger. For the past few years, we’ve been working to raise money to protect these noble creatures, all over the world. The proceeds from your tattoos goes to TOFTigers, an organization that works to protect tigers and their habitats all throughout India. Last year, the $1500 raised was enough to cover a year’s salary for one of the Tiger Guardians. That’s right. Your tattoo will support a Tiger Guardian. We’re sponsoring a guardian named Rupchand. Rupchand is a professional tailor by training, but was considered to be very low caste, so few opportunities have existed for him until now. A few years ago, he found a part time job as a Village Wildlife Guardian, and he transformed into a remarkable hero. 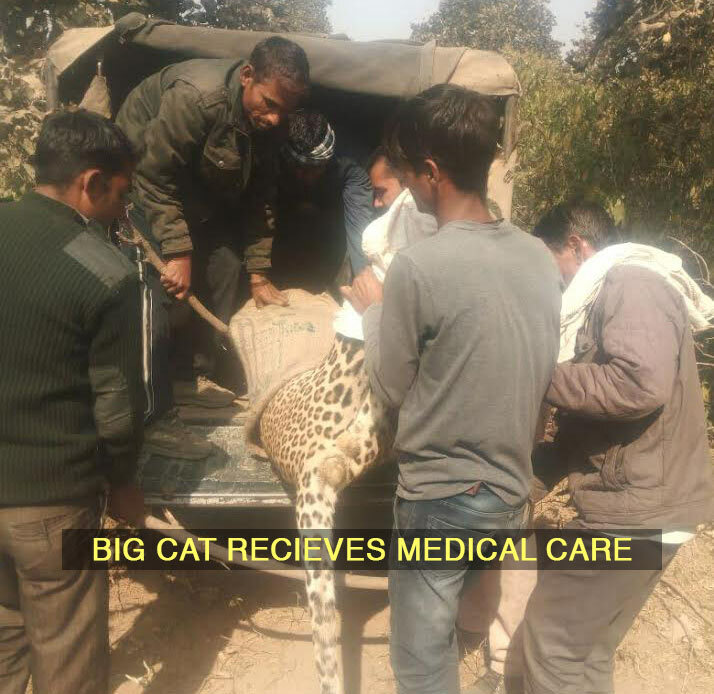 Working at the famous Ranthambhore Tire Reserve in Rajasthan he and his team began catching poachers, saving India’s precious wildlife, and supporting local biodiversity. 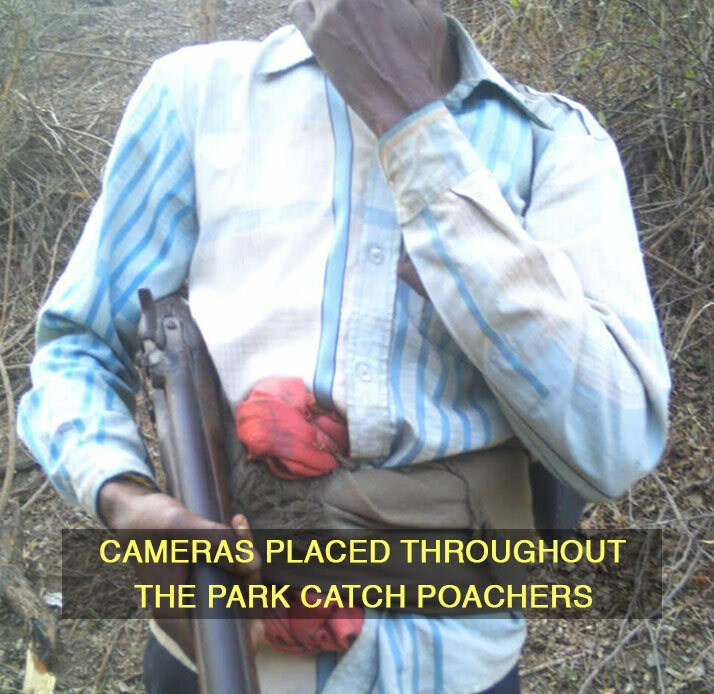 Stopping poachers is no small feat. These blood thirsty gangs are intent of maiming and killing innocent creatures for their own gain. 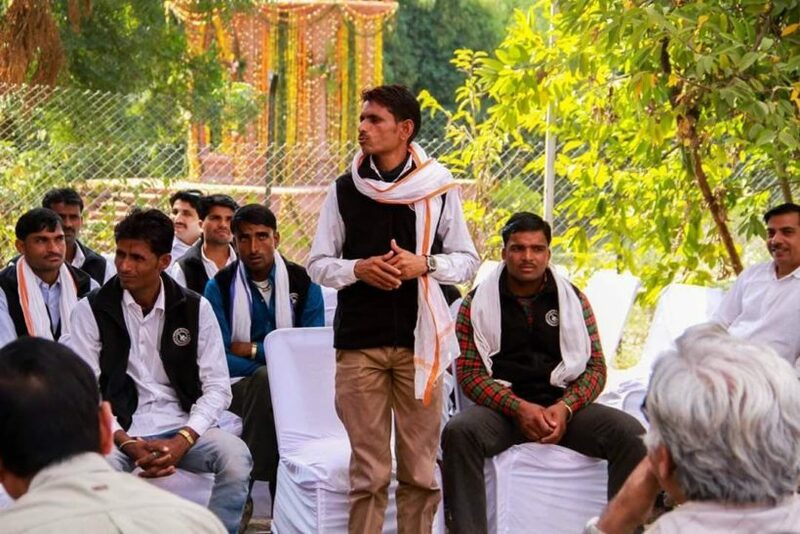 Today he is now the coordinator for 6 other guardians, and helps maintain a team protecting the vital Ranthambhore – Kuno Palpur forest corridor. This corridor is a special piece of forrest land, that ensures the protection of young male tigers moving between reserves. We’re stoked to be supporting this work, and hope you are too. 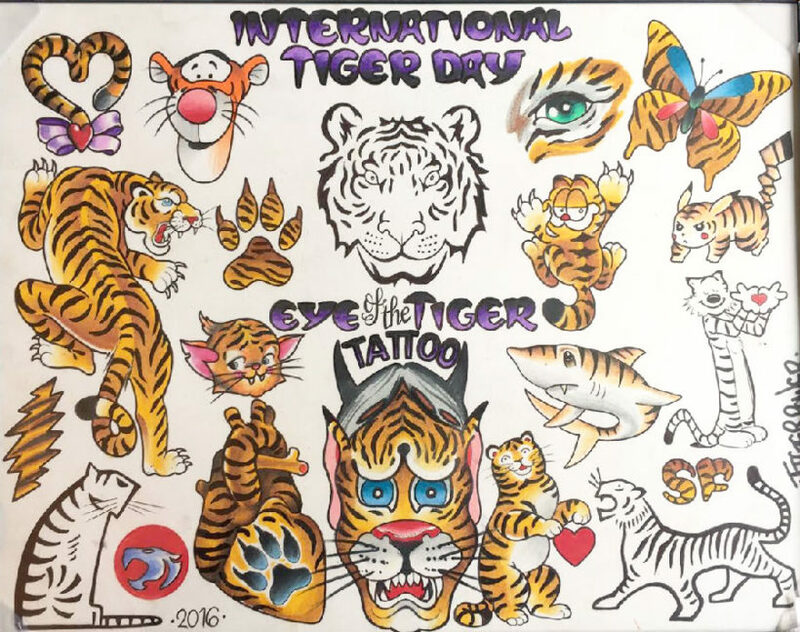 This year, International Tiger Day at the shop will be on July 29th, a Saturday. 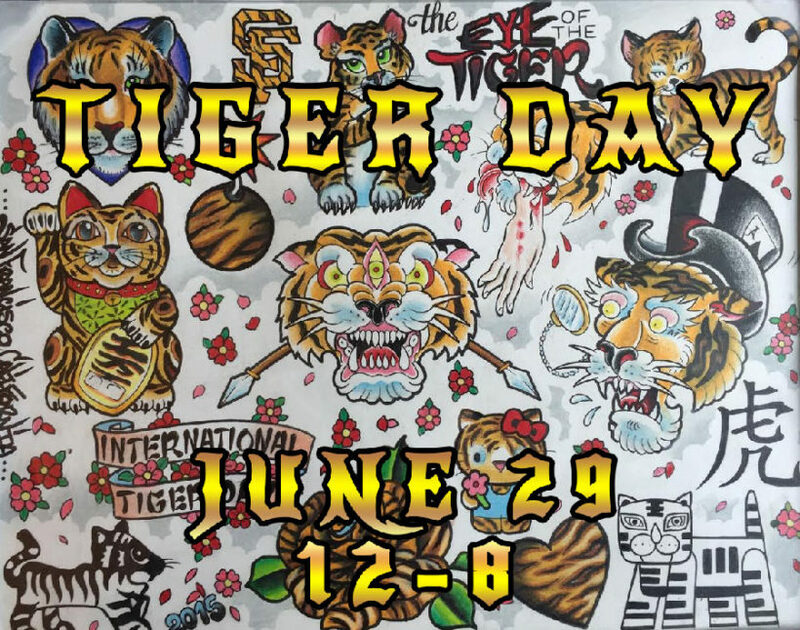 The entire shop will be dedicated to doing Tiger tattoos all day from 12pm-8pm. There will be at least one new flash sheet with new Tiger designs to choose from, made by all of our artists in the shop! Anyone that shows up for Tiger Day will be tattooed on a first come, first serve basis. Typically we do one tattoo per person. No necks, hands, ribs, or backs.